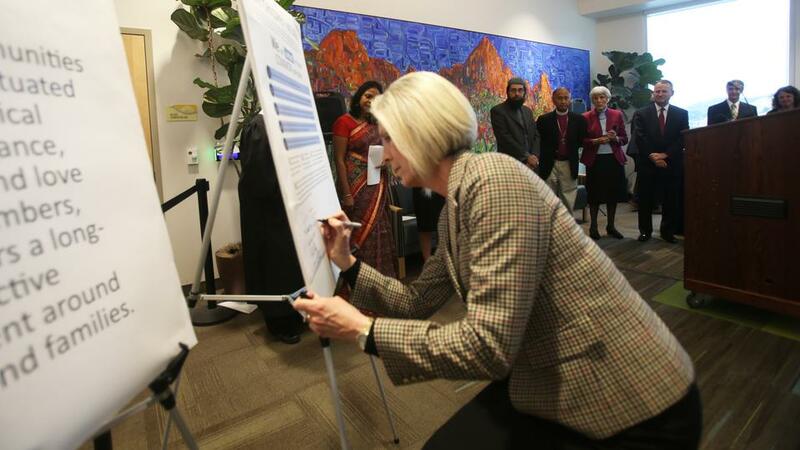 A joint statement was read and signed Wednesday morning at Primary Children’s Hospital by Elder LeGrand R. Curtis Jr. of the Seventy, Primary general president Sister Joy D. Jones, and other members of the Utah Faith Leaders Roundtable on Child Abuse Prevention. The statement stresses the responsibility of all community members to prevent child abuse. Elder Curtis read the statement’s second principle of protecting children: “Religious communities are uniquely situated to provide critical support, guidance, counseling and love for their members, which fosters a long-term protective environment around children and families.” Read the full statement below. Sister Jones, the leader of the Church’s global organization for children between the ages of 18 months and 11 years, noted that last year in Utah over 9,000 children were victims of abuse or neglect — more than a third of them under the age of 5, and half of them under the age of 10. Click here to learn more about how the Church approaches abuse. As representatives from a diverse group of religious communities, we are united in our love of faith and affirm our commitment to the safety, security and well-being of all children. We recognize that we all have a responsibility to care for children and have joined together as allies in our mission to protect Utah’s children and strengthen Utah’s families. Children are our most precious gift and represent the future of humankind. Religious communities are uniquely situated to provide critical support, guidance, counseling and love for their members, which fosters a long-term protective environment around children and families. All children deserve safe, stable nurturing homes and families, regardless of their family structure, religious affiliation, socioeconomic status, race, ethnicity, gender, sexual orientation or immigration status. Strengthening families in our faith communities will improve the likelihood that children will grow up in supportive, faith-based homes that will help them reach their full potential. Any violence against any child in any setting, including the abuse and mistreatment of children, violates the basic tenets of each of our religions, which are based on love and care for our fellow beings. We recognize that we have many opportunities as religious leaders to put these principles into practice in our daily work. We will use teachings from our religious texts that emphasize the great worth and dignity of children. We will also provide and advocate for education, training and support for families and others in our community who seek needed resources to help families and children who struggle. We urge, and will ask, all members of Utah’s religious community, and all communities, to join with us in protecting Utah’s children and making their safety and well-being one of our highest priorities. 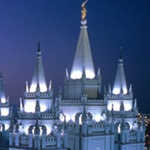 In addition, we strongly encourage all members of Utah’s religious community to draw from the expertise of local agencies and endeavor to hold trainings that will help each faith group increase awareness and understanding of child abuse and neglect and the long-term impact of trauma on children and adults.